Beetle Bailey was eprinted in the Dutch magazine Pep almost fom the beginning of it's weekly life, in 1963. 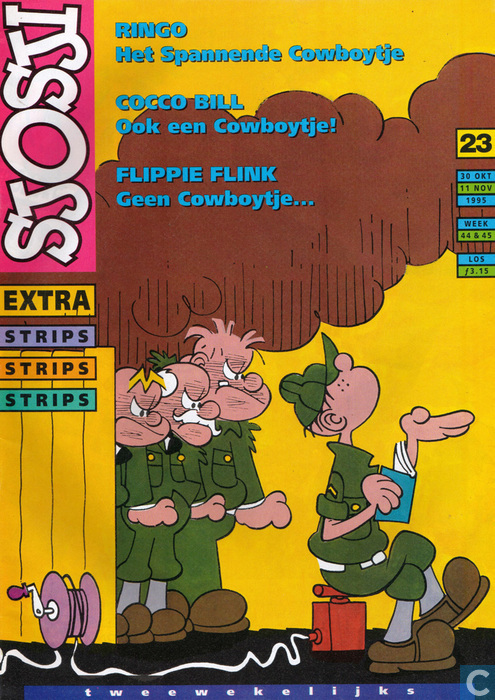 It ran in Pep using dailies until it changed format in 1970, when Sundays were used as well. 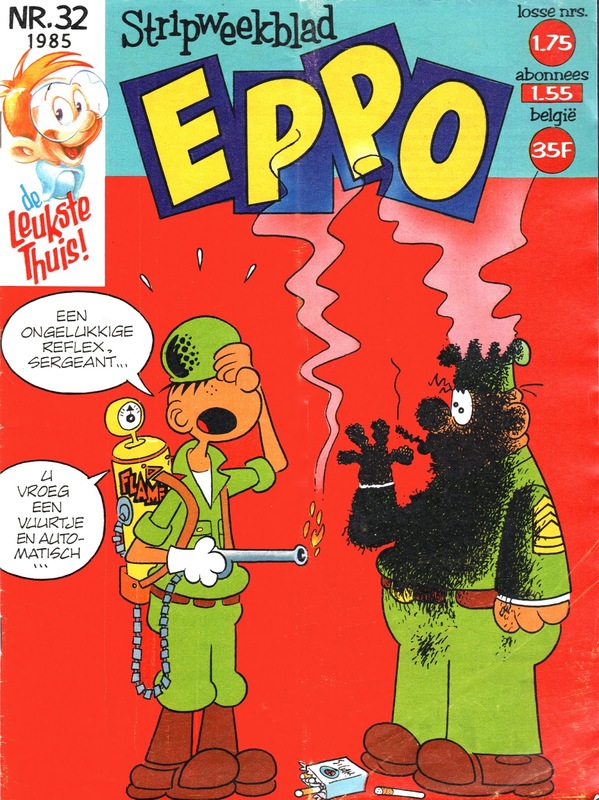 After Pep folded in 1975, Beetl dailies and Sundays were printed in it's successor Eppo for all of it's run as well, ending in 1998. 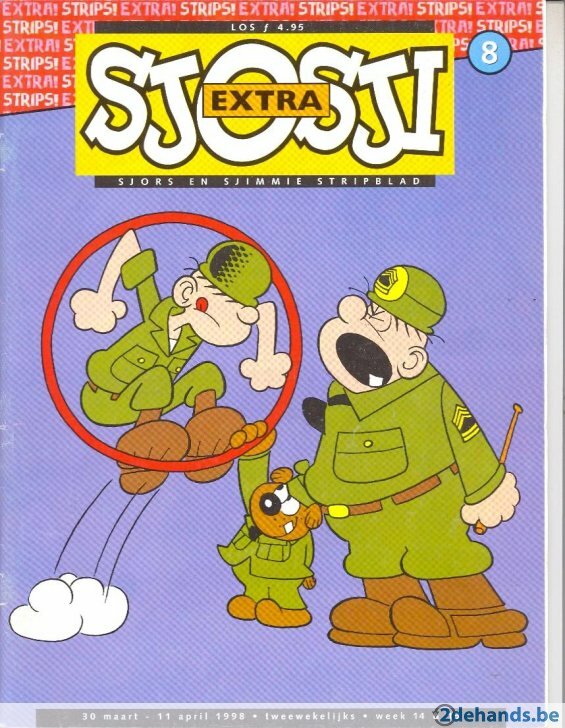 When Eppo restarted in 2008, Beetle Bailey was again added to the new two-weekly line-up. 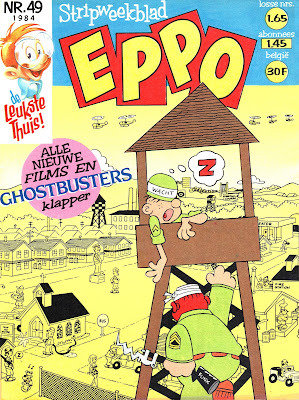 I joined Eppo in 2010 as a news editor and occasional feature writer. Three years ago, I wrote a book covering the history of Pep, which gave Beetle it's due. This year I am finishing a book about Eppo and again Beetle will be in it. 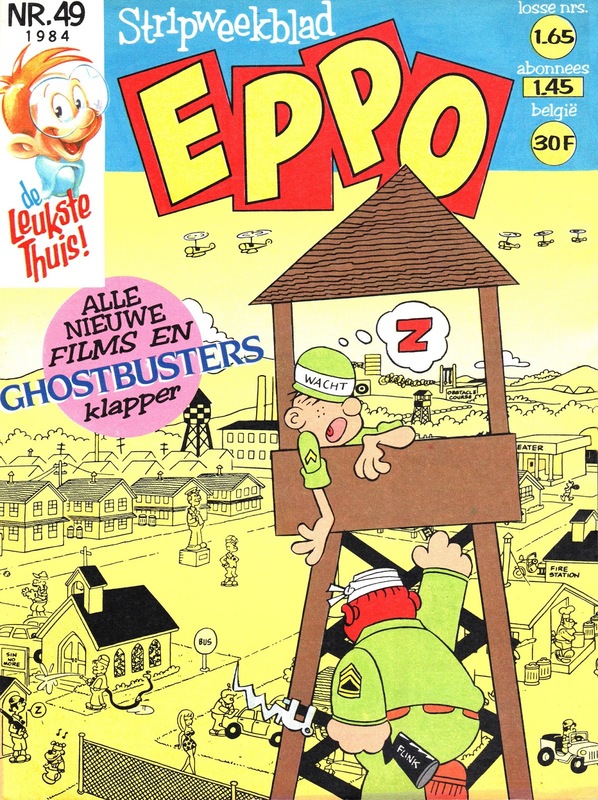 In both cases I could not only use samples of the strip itself, but also one of the many covers that were made for all of the magazines and the many book reprints that were done by Pep and Eppo's publsher VNU as well. These covers were initially done by Daan Jippes, one of Holland's great artists, who went on to work for Disney in the US (before coming back and starting a whole new career here). 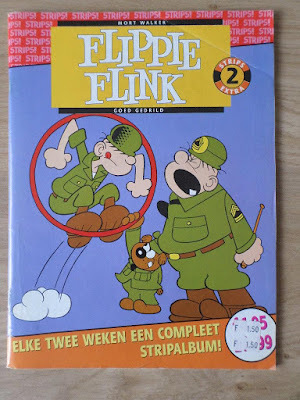 In the eighties, his job as Mort Walker imitator was taken over by Peter de Wit, who was a huge Mort Walker fan (as well as being a fan of Parker and Hart's Wizard of Id). He ended up blening all of his influences into a unqiue style of his own when he started his own newspaper strip Sigmund, about a frustrated little psychiatrist. When he visited Mort Walker in the nineties, he had showed him his early samples of Sigmund and Mort told him it would never work, because he had just the one character and not a whole cast. Anyway, in showing you a lot of Mort Walker material this wek, I though I should include a sampling of the Ditch made Betle Bailey covers, all with original jokes. 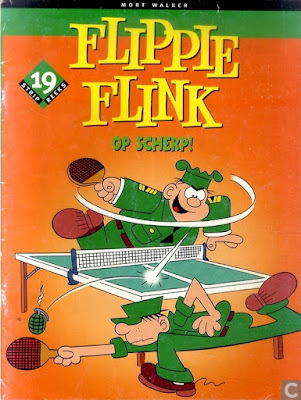 The one with then is by a third Dutch artist who did a lot of covers, but not so many of Beetle Bailey, Gerard Leever. 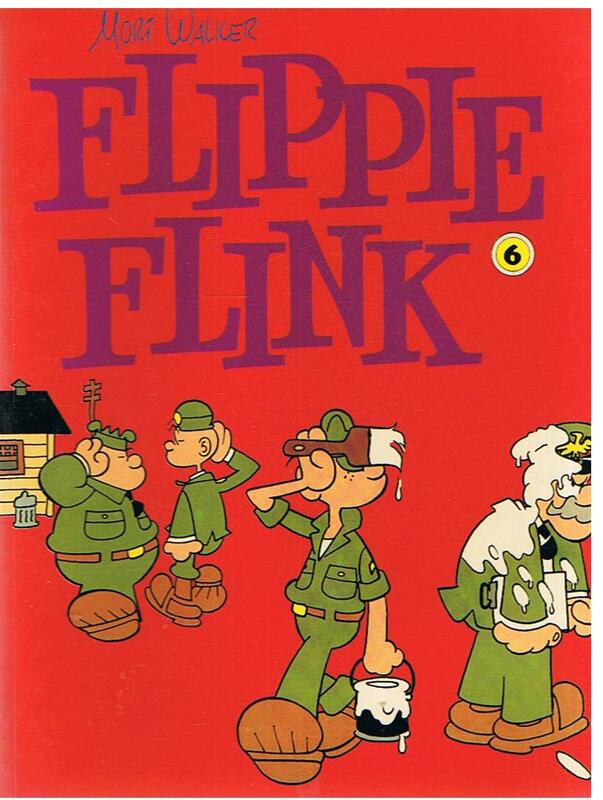 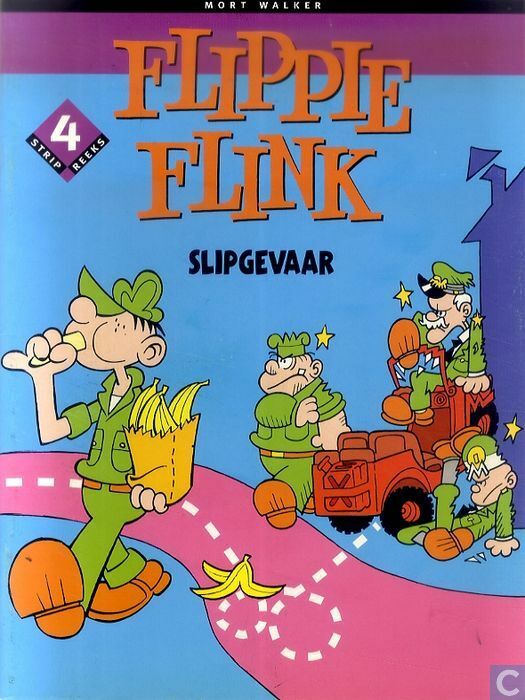 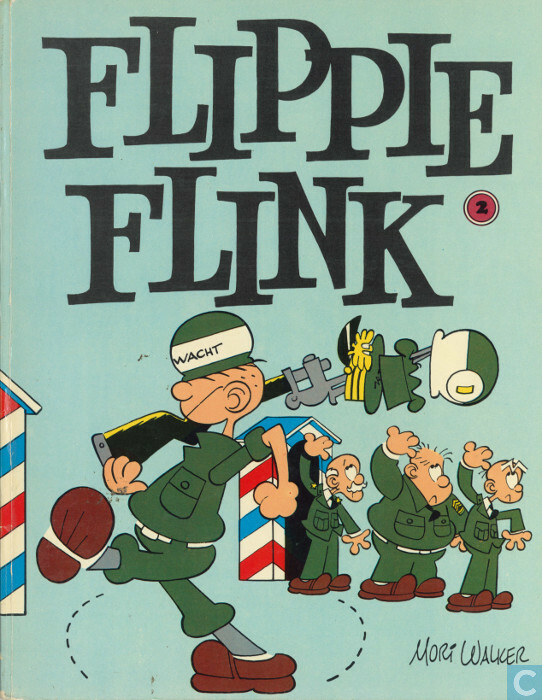 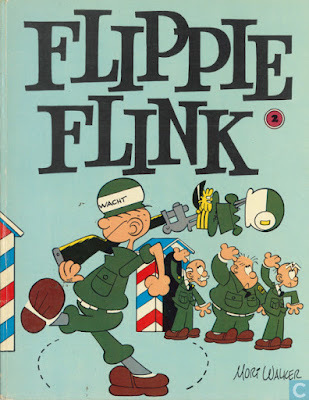 “Flippie Flink” is much funnier than “Beetle Bailey” - great name! 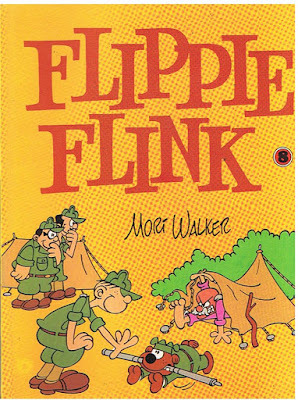 Sadly, it was also the name of some children's entertainer in the arly 20th century, so not really very original. 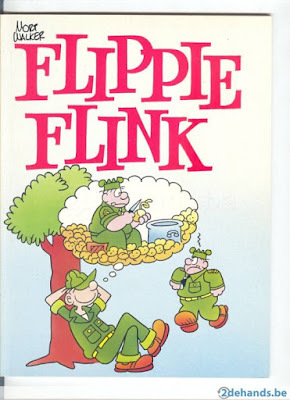 It's like Dan Dare but with a less heroic first name. 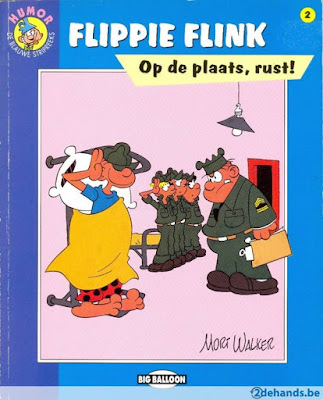 Dexter Dare. 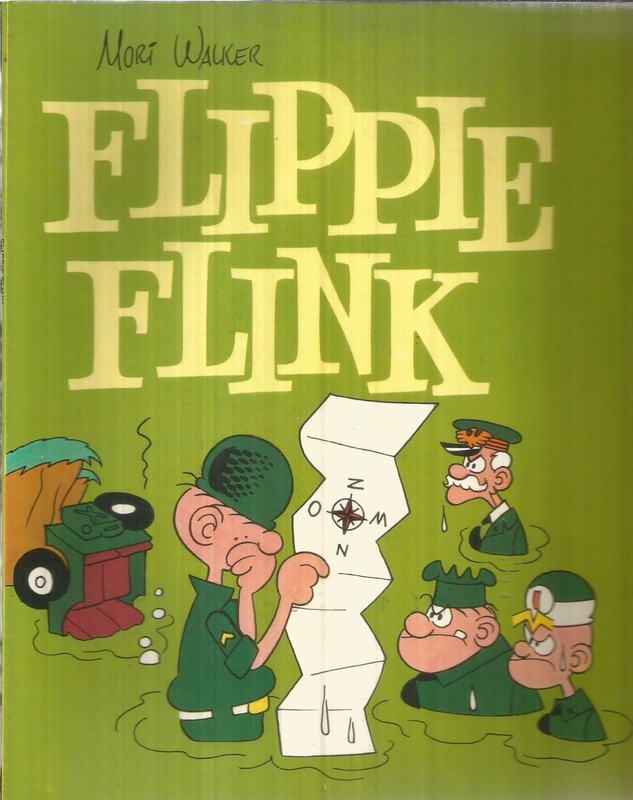 Well, anyeay, RIP Mort Walker (I used to see the old 1963 TV Beetle Bailey cartoons with Howie Morris as Beetle and Al Melvin as Sgt.Snorkle).SC Great and Catchy theme song.